Custom Board Game Boxes, The ultimate tool for Quick Game Selling! There are tones of board games out there in the market and each game has its own characteristics and attractions. 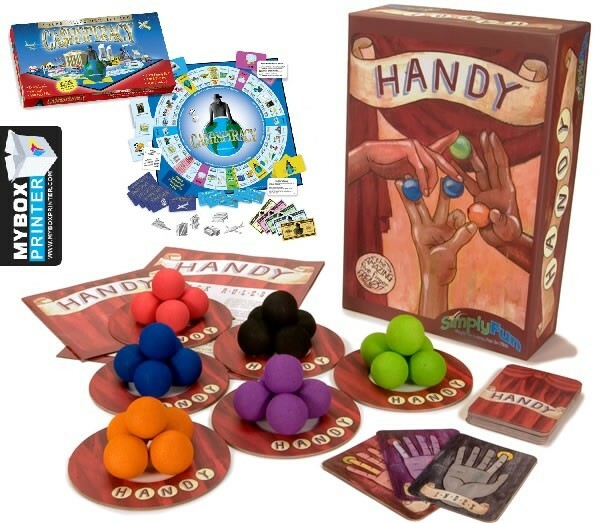 There are many types of board games available in the market and almost all of the board games involve either dice or other objects those moves around the board. Some of the board games also involve toys and characters those move along the board. Some of the board games can be played by only 2 people but the standard board game is usually made for at-least 4 people to play and enjoy the game. Board games usually have a aim or destination that each of player of the board game intend to achieve with success. Most played and famous games are ones those involve multiple depth of involvement and strategic in nature. Game makers build the game for specific age group and normally the difficulty level of the game varies from age group. Board games those are designed for kids usually involve lots of learning and mind building with the help of certain rules and moves. Packaging of the board games plays an important role and custom board game boxes are the quick sales tool for game makers! There are 4 major types of board game boxes, One piece roll end tuck top, two piece telescoping, Tray & Sleeve and RTE tuck flap boxes. These custom board game boxes are usually made with standard 18pt card stock which is thick enough to handle regular boards. But if the board for the game is thick made out of wood or other thick material then higher thickness stock should be used for these boxes. Below are the details for each type of game board box one by one. This style of boxes is usually used for heavier boards as this box folds within itself and don’t require any pasting. The side walls of the box are re-enforced and tuck at the bottom to give strength to the box. Normally 24pt or corrugated material is used for this style of box to carry heavy boards for the games. Custom printing and designing can be done on this style along with nice high gloss or UV finish. These style of boxes have two parts, bottom lid and top lid. This style boxes can also carry heavy boards as the construction of the box with re-enforced sides made the box strong enough to handle that weight. These Custom Board Game boxes comes in two types, the folding boxes those ships flat and can be assembled by folding and the boxes those ships as pre-assembled and are made out of thick chipboard stock. These boxes have the inner tray and the outer sleeve that slides on top of tray to protect items inside. For this type box usually the tray is made out of thicker stock and the sleeve is made out of regular 18pt stock. The sleeve of this box can also have a window to view the items of the board game inside. These are the most basic style game board boxes. These kind of boxes are used for the boards those are made out of cardboard and are fold-able to reduce the overall size of the board. These custom game board boxes can be fully customized with color printing, die cutting, foiling and embossing. These are the least expensive style of boxes from other 3 types. ← Why Custom Pillow Boxes are Perfect Packaging Solution for your Cloths & Beauty Gift Sets?